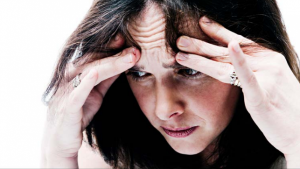 Anxiety is the general term for a plethora of disorders that result in feelings of nervousness and fear. Regular feelings of anxiety differ from an anxiety disorder in that an anxiety disorder is characterized by an out-of-proportion reaction and physical symptoms. The reaction being far beyond what’s expected from a situation, and symptoms like nausea and increased blood pressure are what mark an anxiety disorder. Generalized anxiety disorder (GAD): A chronic disorder, people with GAD experience long-lasting, excessive worries that interfere with their daily activities. Obsessive-compulsive disorder (OCD): Those with OCD will have disturbing, unwanted images, thoughts, or urges intruding their mind, leading them to feel discomfort. This then results in the affected person to engage in repetitive behaviors or mental acts to assuage the anxiety. Phobias: An irrational, unnecessary fear of a certain object or situation that is most often harmless. Phobias stand out from other anxiety disorders in that they’re brought about by a specific cause. Social anxiety disorder: This type of anxiety disorder causes people to avoid human contact and social situations out of fear of judgment. Panic disorder: An anxiety disorder marked by panic attacks, which are abrupt surges of intense fright and dread. These panic attacks can last anywhere from five to 20 minutes. Separation anxiety disorder: An excessive fear that results from being separated from a person or place. Anxiety disorders can be caused by a wide array of factors, according to EverydayHealth.com. For the most part, however, experts believe that personal experiences and genetics are the primary causes. Children born to parents who have anxiety disorders have a greater chance of developing a disorder themselves. Anxiety can take a toll on a person’s physical and mental health. For instance, people who have GAD will often feel restless, and suffer from sleep problems and persistent muscle tension. In fact, almost half of people with GAD have sleep problems or great difficulty falling asleep. Though the impacts of anxiety are largely mental, it can affect organs and organ systems as well. The digestive system is one such organ system that can be negatively influenced by anxiety. Chronic digestive problems like irritable bowel syndrome, constipation, and diarrhea are more frequent among those with anxiety, and the two can even worsen the other. Anxiety can bring harm onto the heart too. According to Livestrong.com, chronic anxiety stimulates the body to continuously produce stress hormones that elevate blood pressure, cholesterol levels, and heart rate, the combination of which greatly increases the risk of heart disease. In addition, people with anxiety can have weaker immune systems since anxiety and stress can lessen white blood cell count and diminish immune system activity. Some researchers believe that there are particular foods that can alleviate anxiety, namely those rich in tryptophan (e.g. turkey and bananas) and omega-3 fatty acids (e.g. salmon and chia seeds). Tryptophan is a precursor to serotonin, which is a neurotransmitter that plays an important role in mood regulation. Omega-3 fatty acids are similar in that they’re also believed to uplift and enhance mood. According to HelpGuide.org, therapy is a good option for anxiety, specifically cognitive-behavior therapy and exposure therapy. Cognitive-behavior therapy aims to identify and change the processes or behaviors that fuel one’s anxiety, while exposure therapy works by encouraging patients to confront their fears in a controlled, and safe environment. Medication may be prescribed in some cases. Antidepressant medicines, benziodiazepines, buspirone, and beta-blocker medicines are the most common types of medication given to people with anxiety. People with anxiety can manage their condition through a variety of ways. Avoiding alcohol, exercising regularly, practicing relaxation techniques, and meeting up with friends or a support group can all be used as means of minimizing one’s anxiety. Those who have anxiety or anxiety disorders will live in constant states of worry, suffer from intense panic attacks that can happen without warning, or become nervous at the thought of mingling with other people. Anxiety can harm the heart, digestive, and immune systems, and can even lead a person to experience all kinds of physical symptoms. These range from sleep problems to muscle tension to shortness of breath. Anxiety can be managed through therapy or medication, which can then be supplemented with some self-care practices like regular exercise and the avoidance of caffeine and alcohol.